Calvet Apartments Barcelona are 400 meters from the Sagrada Familia and apartments with air conditioning and free Wi-Fi. 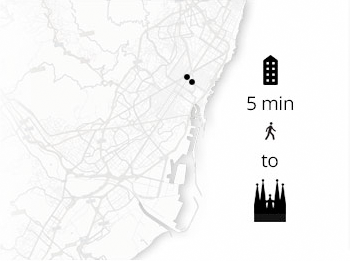 It is a 6 minute walk from Verdaguer Metro stations and Sagrada Familia. The apartment is with good location - very closely to Sagrada Familia.